Lots of fun stories as we bring you a new edition of Linked Up today. Get ready for a busy weekend of competition with some wonderful feature stories. From the New London Day: Great story about two remarkable seniors who bring a perspective that everyone should emulate. From CTHSHockeyscores.com: Latest in a fun series letting hockey players past and present share their memories and feelings on the sport. 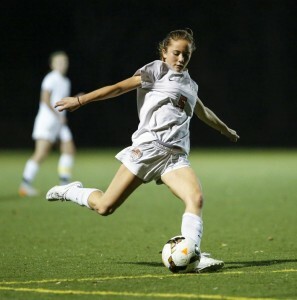 From TheRudenReport.com: Ridgefield’s Natalie Brassinga is as comfortable on the soccer field as she is with a sketchbook. From NBC Sports World: Not specifically about high school sports, but a great story with an important message about not losing your sense of self in competition. From the Danbury News Times: Danbury’s indoor track and field teams are shooting for a rare trifecta this weekend at the State Open. From the Norwich Bulletin: Josh Angel has been a natural on the wrestling mats for Killingly this year. From the Meriden Record Journal: Area coaches raised the difficulty during the regular season in hopes of having their wrestlers ready for the CIAC Championships this weekend. From the Middletown Press: It’s been a highly successful winter season for the area teams as Jim Bransfield details. From GameTimeCT: Ansonia is hoping its basketball turnaround will continue with some postseason success. From the Hartford Courant: A talented backcourt is powering the Wethersfield boys basketball team. From Shore Publishing: Marissa Newell’s offense is providing a foundation for the Old Saybrook girls basketball squad. From the Waterbury Republican-American: The Gilbert School’s boys basketball team has an international flavor. From the Norwalk Hour: George Albano offers stories on some locals who have gone on to great success. From the Bristol Press: Several Bristol natives have gone on to have successful careers in sports at ESPN. From SportzEdge.com: A Notre Dame-West Haven lacrosse standout earned some international opportunities.